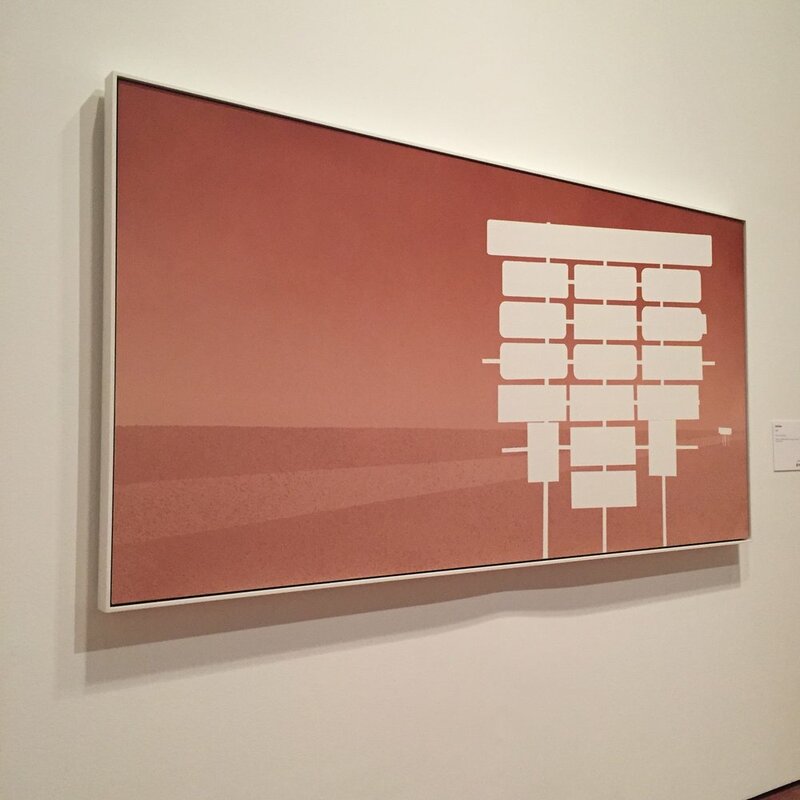 Went to the deYoung Museum to see the Ed Ruscha show. A retrospective of pieces from the 1960's to the present. Amazing how much he evolved in his subjects and methods and yet pieces from 50 years ago seem as fresh and consistent and strong as the recent work. Threads of ideas and humor and reflection woven through every piece. Not a bad one in the bunch. Difficult to chose just one image to highlight but the piece below struck me because of its title. The image is a roadside sign with the information whited out. On the adjacent wall was the photo he took of this sign. The sign was a list of all the churches in the next town. He titled this painting "Untitled." Just very clever. His work is so very graphic but the pieces have all sorts of subtle layers of meaning, of texture, of detail. It's quite satisfying to make the connections while at the same time just being simply amazed by the breadth and length of his work and career.